Fresh Graze is an automated moving fence using robots to allocate fresh grass to livestock. Developed by the Drumm family and the COMAND Technology Gateway it was Ag-tech Startup winner and overall winner of the Alfie Cox perpetual cup at the NPA Innovation arena. be able to communicate with the grazebot in the paddock and visualise the feeding rate to the user. With this in mind, Fresh Graze conducted Innovation Voucher work and contract design for the grazebot in partnership with the COMAND Technology Gateway based at the Software Research Institute in the Athlone IT. 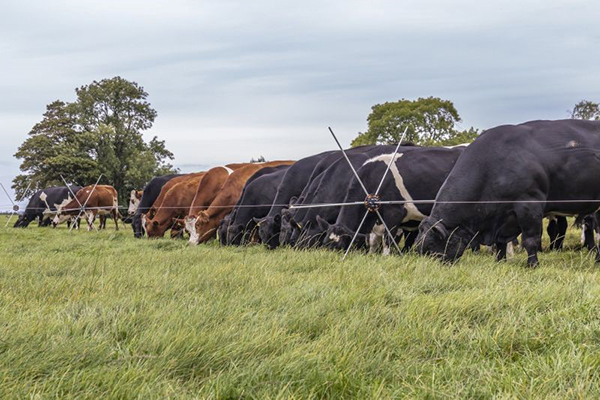 A feasibility study, in collaboration with Intelligent Mechatronics and RFID (IMaR Technology Gateway) in the Tralee IT was also carried out to develop the integration between the grazebot in the paddock. The cloud-based system is developed using a highly scalable architecture. It includes a user interface that takes input data per paddock per user via a web application. The user chooses the paddock to be grazed. A feeding rate for the grazebot is output to an API which is accessed by the grazebot in the paddock. Using the API, further communication between the system and the grazebot are in the pipeline. Data analytics is likely to play an important role in the future of this project to provide paddock feeding rate prediction.